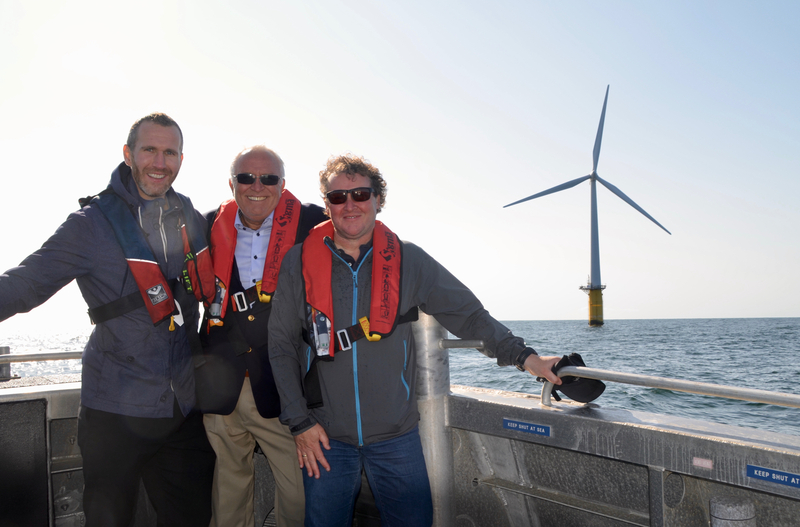 Marius Nilsen (Telenor Maritime), Sven Arild Evertsen (Global Ocean Technology) and Jan Martin Grindheim (MacGregor) took a closer look at Equinor’s Hywind prototype outside Karmøy. Representatives from MacGregor, Telenor Maritime and Global Ocean Technology joined Equinor for a closer look at the Hywind floating wind turbine. The trip was organized on the tail of ONS, where Equinor made public plans to build a new floating wind farm outside Norway, based on the Hywind prototype. 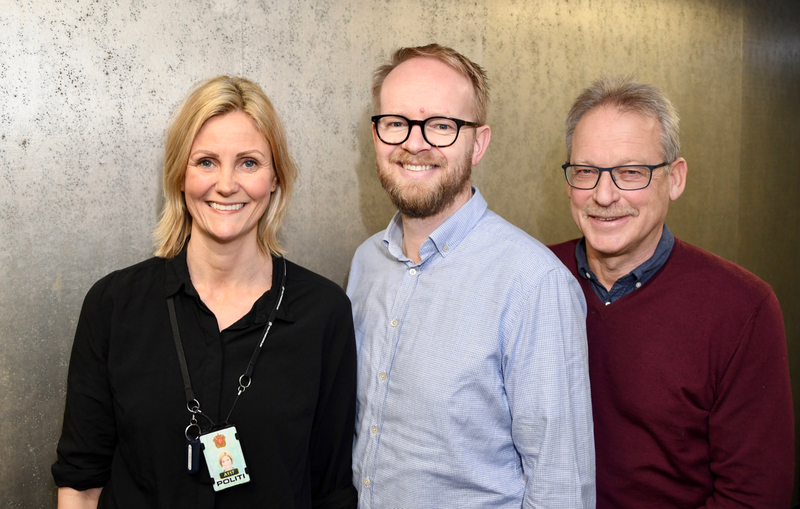 GCE NODE companies are ready to contribute to Equinor’s plans. Some have already been part of a similar Equinor project. “We provided anchoring systems for Equinor’s Hywind pilot project in Scotland and are keen on playing a role in the development of this new project. 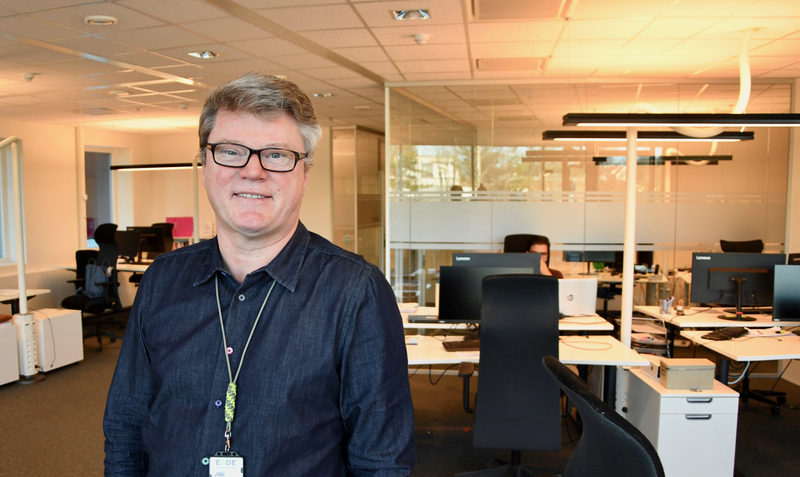 We see offshore wind as a growing market, and we are continuously working to develop robust and cost-efficient solutions for floating wind projects,” says Jan Martin Grindheim at MacGregor Norway. He was excited to see the wind turbine up close outside of Karmøy, where it has been operational for 8 years. The floating structure consists of a steel cylinder filled with ballast water and rock or iron ore. An updated design has been made based on the experience from the demonstrator prototype. The new design has a design draft of 85-90 metres and a displacement of around 12,000 tonnes. The diameter at the water line is about 9-10 metres, while the diameter of the submerged section of the buoy is 14-15 metres. “It’s an impressive structure! At Telenor Maritime, we were happy to be part of a trip that enabled us to come closer to the wind division of Equinor. Offshore wind could be an interesting market for us,” says Marius A. Nilsen at Telenor Maritime. Equinor’s first floating wind farm on the Norwegian Continental Shelf could consist of 11 Hywind wind turbines with a combined capacity of 88 MW, supplying Snorre A and B, and Gullfaks A, B and C platforms, in an area called Tampen. Hywind Tampen could be an important milestone in the development of renewable energy in The North Sea. Being located in Equinor’s hydrocarbon heartland, it is also an important signal of an energy transition. “Since 2013, GCE NODE has encouraged our participating companies to explore how existing competence and technology can be transferred to offshore wind, subsea mining, aquaculture and other ocean space industries. Our main focus has been on offshore wind, which is the more mature market, and with this new Equinor project, our efforts could really pay off. 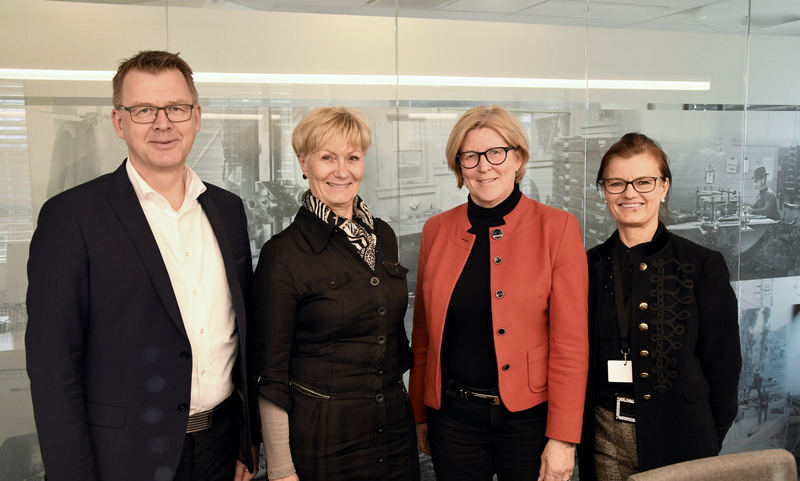 This is very exciting news for the supplier industry in our region,” says Anne-Grete Ellingsen, CEO of GCE NODE. The preliminary capital and development expenditures of the project amount to NOK 5 billion. An investment decision is expected in 2019.